Pretty earrings for girls of all ages. 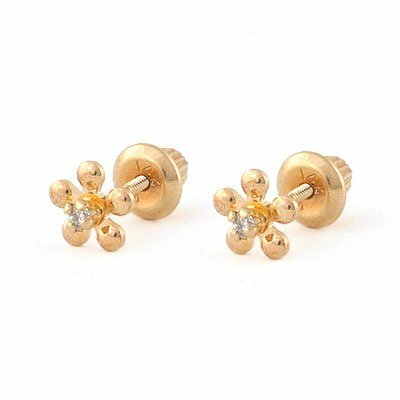 These studs are made of highly polished 14K yellow gold in a lovely flower shape, with a sparkling full cut diamond accent at the flower center. The total diamond weight is 0.04 carat for the pair. The screw back is smooth on the bottom for comfort and safety.